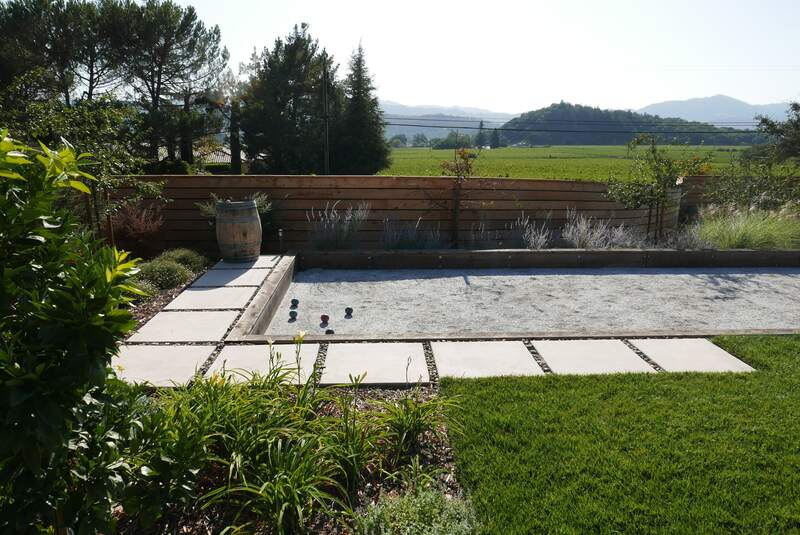 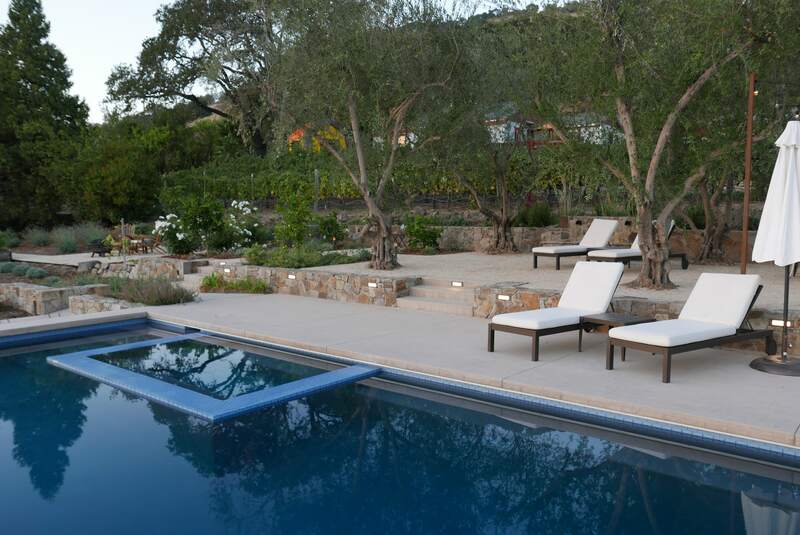 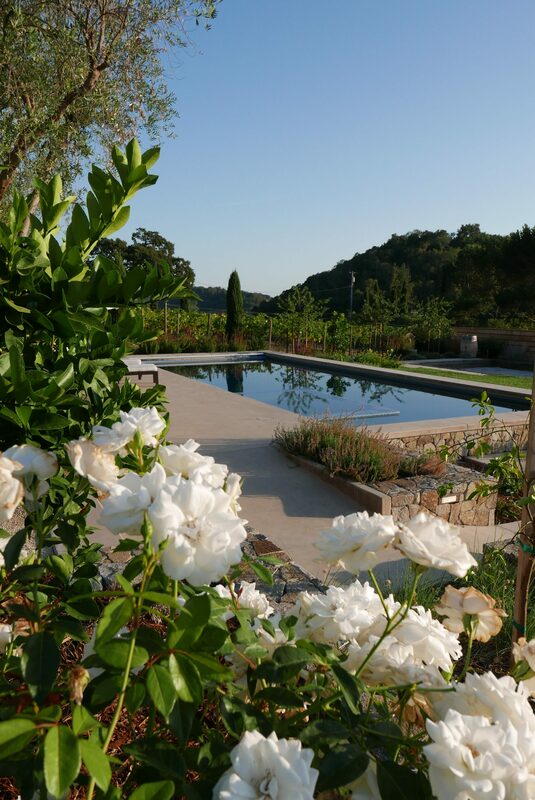 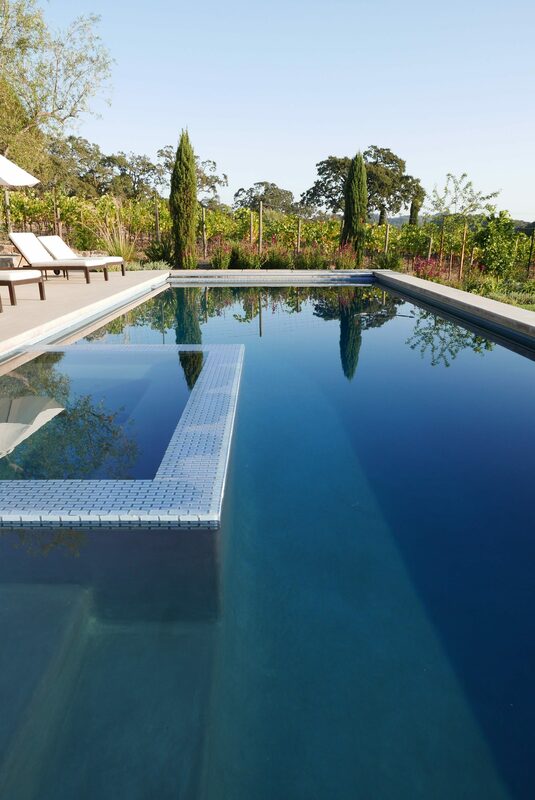 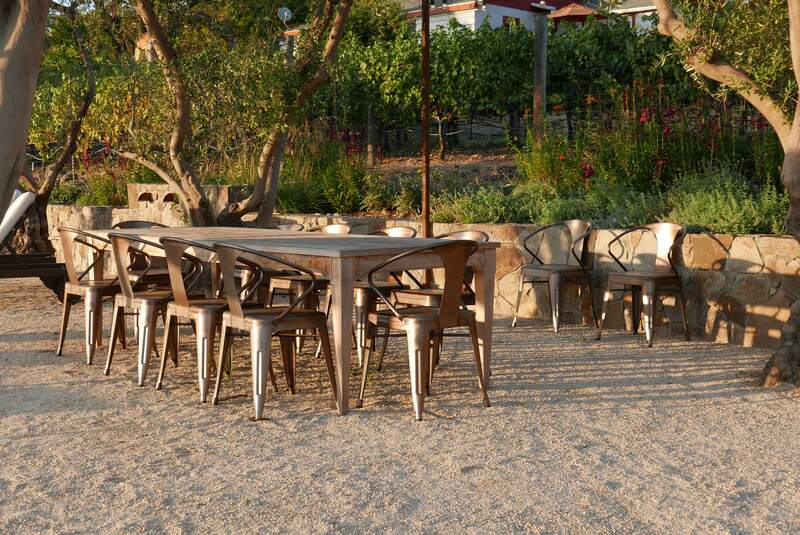 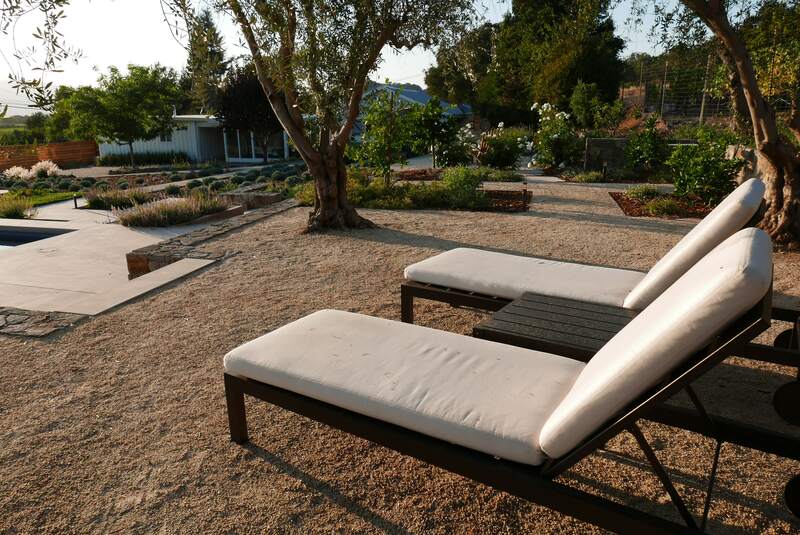 Designed to exemplify Napa Valley outdoor living with numerous outdoor sitting and play areas, this project is actually designed to go with a new, unbuilt house, to replace the existing house. 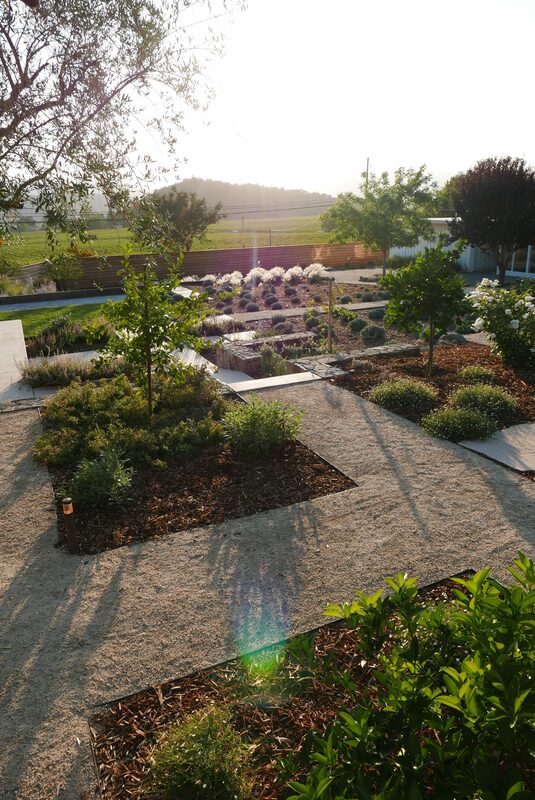 We worked with the architect on the future floor plan to highlight the connections to the new garden, which is laid out on a series of terraces to take advantage of the views across the valley and the slope. 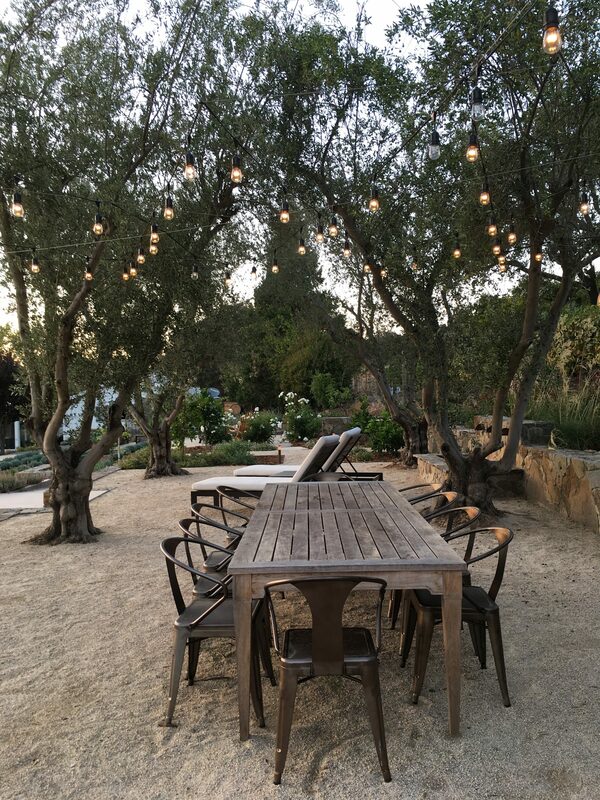 The upper olive tree terrace is the dining terrace and includes Italian style overhead lighting, fountain and fruit trees. 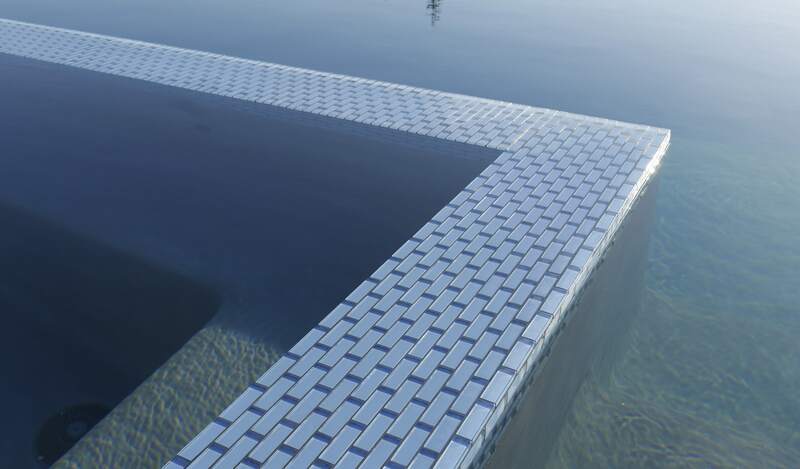 The second terrace is the pool and spa, which will be visible and accessible from the new great room. 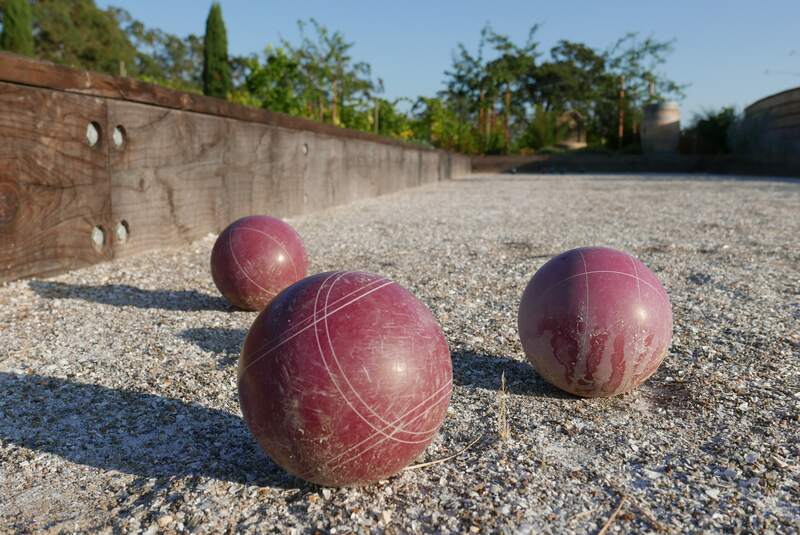 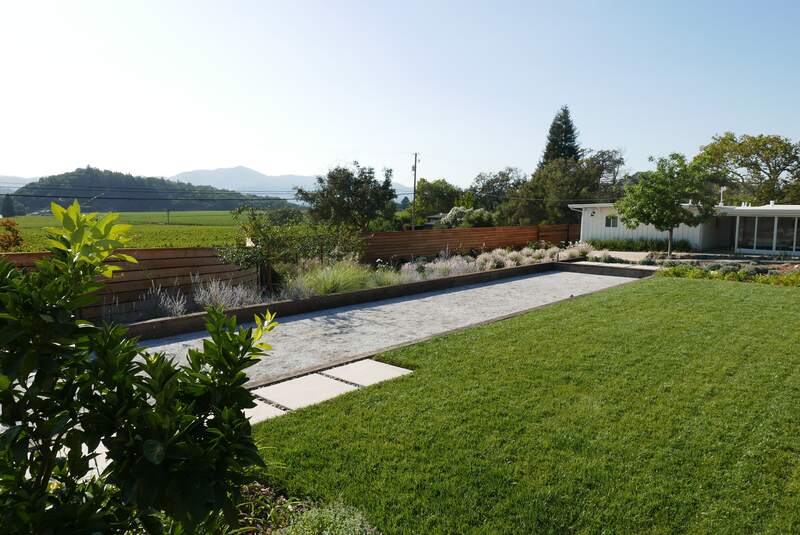 Adjoining the pool is a lawn for kids’ games, and the lowest terrace is a bocce court. 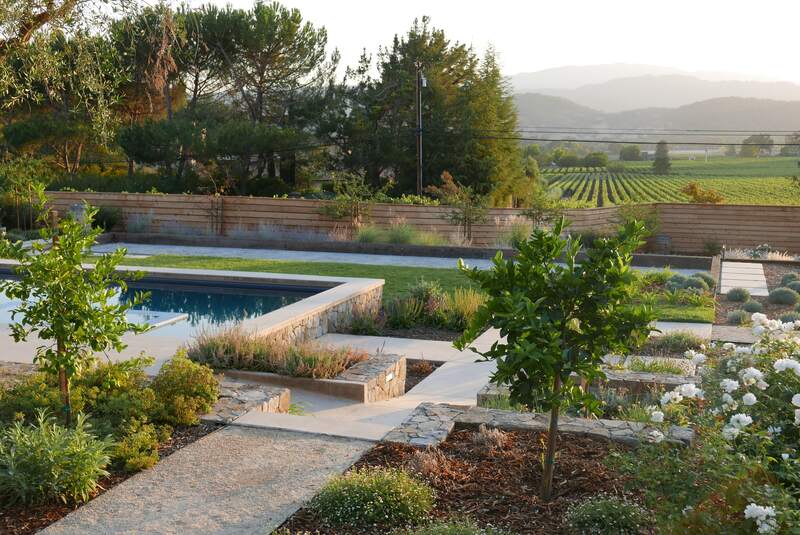 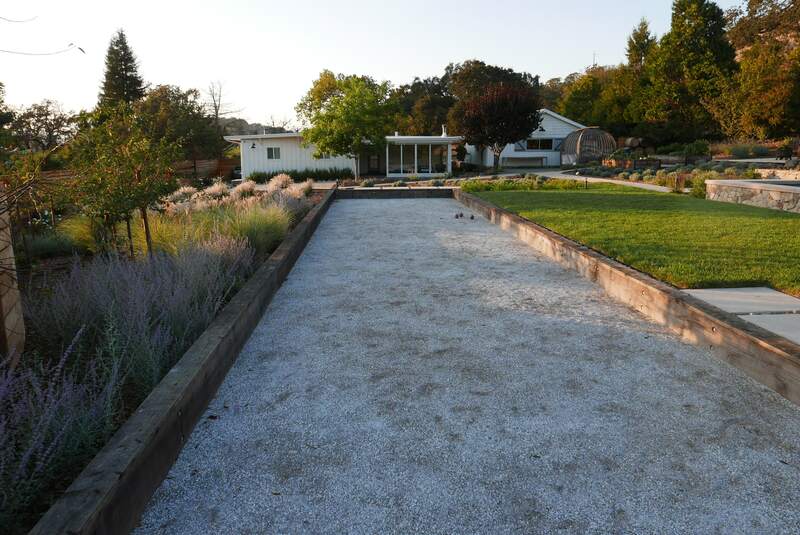 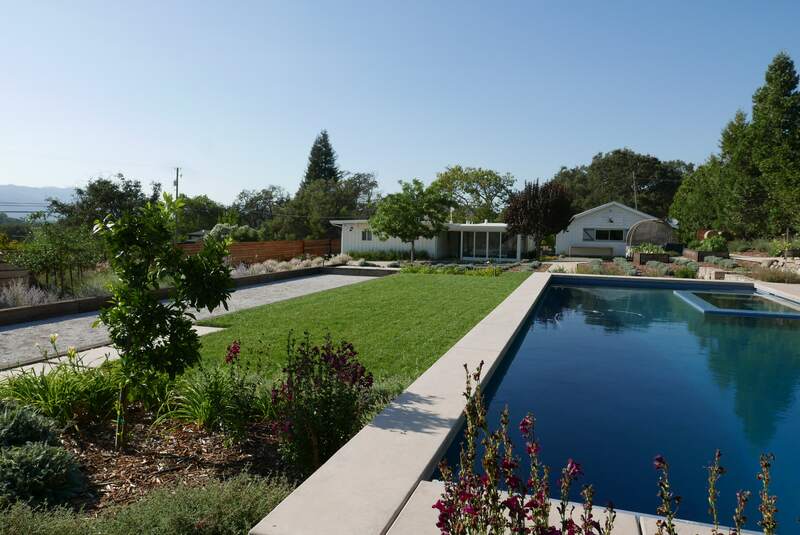 View of gravel paths, planting boxes, landscaping, pool, and gravel bocce ball court.